Mass text your band and groups in the click of a button. Betwext Text Marketing allows you to send and receive SMS (text) campaigns tied to as many keywords as you need. Text “band” to a phone number you select. We offer unlimited keywords for unlimited marketing and communication efforts. Text “NBA” to 5512269900 to get your discount and more information. In the fall of 1981, Bob Rogers set out to fill a need. The resources weren’t plentiful, but the vision was grand: to create a group travel company that understood the unique needs of student groups and made it easy for educators to take their students on amazing trips. 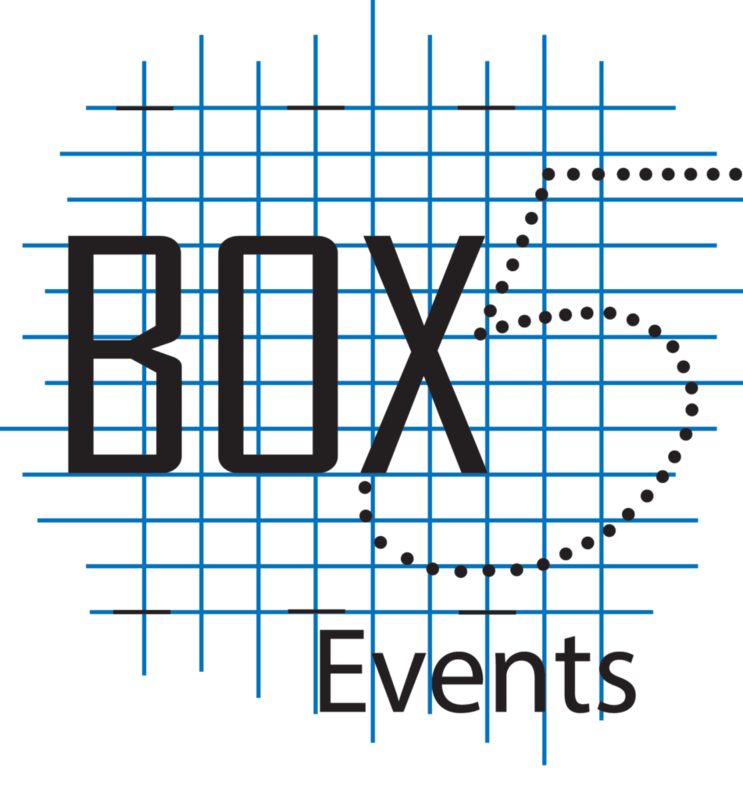 Box 5 Events mission is to create a profound and educational experience which focuses on recognizing the highest level of achievement for your groups. Meeting your service level standards is our priority. We are proud to partner with the Chick-fil-A Peach Bowl and the Military Bowl to create mass band performances and music festivals which will give your students an experience of a lifetime. Box 5 Events customizes all performances trips to ensure they meet your educational goals. Now in our 13th year, the Charms Office Assistant is the unquestioned leader in cloud-based organization, management, and communication. It is an all-encompassing office assistant, ready to go to work when you are. Concept Tours wish to fulfill your travel dreams. To ensure your confidence and satisfaction, we offer complete consultation, specialized guide services, meals, accommodations to meet your budget, group airfares and all amenities to fulfill your wishes. Conn-Selmer, under a portfolio of brands, is the leading manufacturer and distributor of musical instruments for student, amateur and professional use. With a tradition of innovation, and superior musical performance, brands such as Vincent Bach, C.G. Conn, King, Holton, Selmer, Armstrong, Leblanc, Ludwig, Musser, Scherl & Roth, Glaesel, and William Lewis & Son have earned a legacy of respect unparalleled by any other builders. With DANSR behind you, there’s no limit to what you can accomplish. That’s because we have the connections to plug you into a larger customer base. And as musicians ourselves, we have an insider’s perspective on the industry’s newest trends. Encore Tours™ is the performance division of ACIS Educational Tours, the premier educational travel company since 1978. Encore Tours customizes each performance tour, creating the perfect balance between rehearsals, performances and sightseeing. Let Encore Tours bring your choral, instrumental, dance or theater group to the world stage today! Every spring since 1982 Festivals of Music has brought together the nation’s top judges and finest performing facilities to provide an inspiring end of the year experience for high school bands, orchestras and choirs. He moves comfortably in a crowd. It’s the sign of a lifelong diplomat. And on a summer’s day he makes his way through the audience like the “Mayor of Pageantry”, with a handshake here, a kind word there, a salute of recognition across the field. For many, a visit to the Getzen factory has been both entertaining and educational. Of course, we haven’t abandoned our roots…GIA (originally the Gregorian Institute of America) still offers more Gregorian chant resources than anyone, including the highly respected Solesmes editions! Welcome to KHS America., the U.S. distributor for Jupiter woodwinds and brass, XO brass, Mapex drums, Majestic percussion, Walden guitars and Altus and Azumi flutes. Founded in 1876, J.W. Pepper & Son® has grown from a small print shop in Philadelphia to the leading retailer of sheet music in the world. We are dedicated to the enrichment of lives through music performance and education by providing high quality musical instruments and services designed to support musicians, educators and our retail partners. Respect – We will treat our customers and each other with empathy, dignity and respect. View our KHS America LinkedIn Page for job openings. Established 1986, Mega Dough Fundraising is now a leading figure in the fundraising industry. Mega Dough Fundraising was created for the purpose of helping organizations raise necessary funds. Our goal was to provide non-profit groups customized fundraising services and quality fundraising products at competitive prices. What first began as a local fundraising program with one product has now grown to a nation-wide business offering hundreds of products and customized services. Since 1986, Mega Dough Fundraising has helped thousands of groups raise millions in additional funds! We are proud to celebrate 20 years of commitment to excellent quality and service. Mega Dough Fundraising has been working together with the Association of Fundraisers and Direct Sellers, AFRDS, since 1993. We are committed to improving the quality of fundraising programs, insuring the integrity of the fundraising industry and keeping the safety of our children the main issue. From our humble beginnings in Bethesda, Maryland, to becoming a national music store chain, Music & Arts is a one-stop-shop for students, parents, and educators alike. With over 150+ stores throughout the country, and over 50,000 products on MusicArts.com, we have every piece of gear or knowledge you need to be the best musician you can be. Music Celebrations International provides unique performance and educational opportunities to performing groups. Music for All is one of the largest and most influential national music education organizations in support of active music making. Music for All is unique in that it combines programming at a national level with arts education advocacy. Bands of America (BOA) and Orchestra America are programs of Music for All, first founded in 1975, with a heritage in providing spectacular educational experiences and performance events for instrumental music programs and students. From humble beginnings with a single summer workshop for teachers, Music for All events are today recognized as the pinnacle of educational programming for high school and middle school instrumental music programs nationwide. Music for All reaches a vast number of people; each year, more than 300,000 people attend our events, more than 85,000 teens participate, and 100,000 people subscribe to online services. 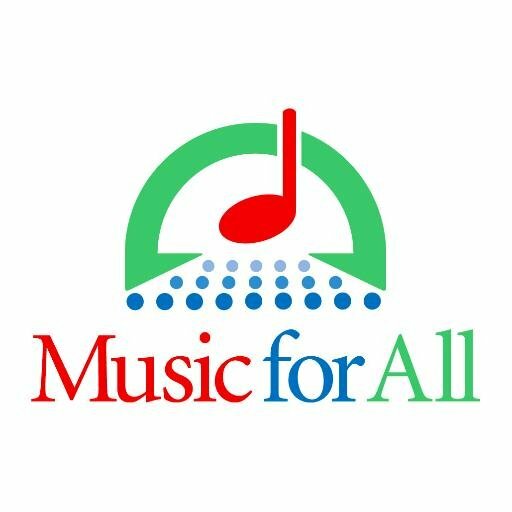 Music for All is committed to expanding the role of music and the arts in education, to heightening the public’s appreciation of the value of music and arts education, and to creating a positive environment for the arts through societal change. Working with leading national authorities and other non-profit organizations, Music for All invests resources and personnel in projects that expand access to public school music and arts programs through advocacy and public awareness efforts to support music and arts education. Since 1987, Music Travel Consultants, led by accomplished band directors, has become the first choice for student performing group travel by hearing customers, providing industry-leading online services and having professional Tour Directors conduct most trips. Focused on creating custom trips that provide relevant, memorable and rewarding student travel experiences, Indianapolis-based Music Travel successfully partners with customers to do just that, in destinations within the United States and worldwide. Over 165 years of combined travel expertise earned in over 68 countries enables Music Travel Consultants to anticipate group needs and deliver group wishes, without surprises or hidden costs. MusicFirst, the Digital Education Division of the Music Sales Group, was founded with one mission in mind: Offer music teachers and their students easy-to-use, affordable cloud-based solutions that enable music learning, creation, assessment, sharing, and exploration on any device at anytime, anywhere. Simply the BEST music folders on the market. IN STOCK and Ready to SHIP – Designed and manufactured by musicians for musicians, since 2001. The National Association of Music Merchants, commonly called NAMM in reference to the organization’s popular NAMM trade shows, is the not-for-profit association that promotes the pleasures and benefits of making music and strengthens the $17 billion global music products industry. Our association — and our trade shows — serve as a hub for people wanting to seek out the newest innovations in musical products, recording technology, sound and lighting. NAMM’s activities and programs are designed to promote music making to people of all ages. Making Excellence a Tradition for over 75 Years. Perform America is here to take the stress and time of planning a domestic performance trip off your plate. From prestigious National Parades to Disney’s Magic Music Days to college bowl game half time shows to Festival Competitions throughout the U.S., whatever you want to do and where ever you want to go, our staff will be your ultimate resource and an active partner in helping plan a fantastic performance-based tour for you and your band. The life of a school music educator can be busy. At Smith Walbridge Band Products, we are here to help. From flags to rifles, shoes to gloves, portable sound systems, and everything in-between, we aim to make the search for quality products easy and affordable. Let us do the work to supply your band, guard, or choir with the products they need to perform their best. Super Holiday Tours has over 40 years of experience taking Performing Groups, Marching Bands and Student Groups Across the World! Our student travel experts at Super Holiday Tours can take you to the best spots across the globe! No destination is too far for your students to discover. No event is too big to experience. The magazine school band and orchestra directors have counted on for 69 years. We strive to provide the most inspirational and practical information for music teachers and the highest-quality awards to honor outstanding achievement by student musicians. Annually held in Chicago since its inception in 1946, The Midwest Clinic is the world’s largest instrumental music education conference. Attended by an international audience of more than 18,000 music educators, students, and professionals – representing all 50 states and over 30 countries – the conference began over 70 years ago as a way to introduce directors to new repertoire for their ensembles. Today’s Midwest includes over 120 clinic sessions, 50 performances, and an 80,000 square foot exhibit space showcasing 400 exhibiting companies. The Midwest Clinic exists for educational purposes exclusively; to raise the standards of music education; to develop new teaching techniques; to disseminate to school music teachers, directors and supervisors and others interested in music education, information to assist in their professional work; to examine, analyze and appraise literature dealing with music; to hold clinics, lectures and demonstrations for the betterment of music education; and in general to assist teachers and others interested in music education in better pursuing their profession. Wenger Corporation provides innovative, high-quality products and solutions for music education and performance. Products include; SoundLok sound-isolating music practice rooms, acoustical shells and room treatment, acoustical doors, portable staging, music posture chairs, music stands and a full line of storage product for music instruments, garments and sheet music. Wenger is proud to introduce the VAE® Rehearsal system, an innovative acoustic technology that will change the way music is taught. Change the acoustics of your space with just a push of a button! Founded in 1964, Wingert-Jones started as a labor of love between two instrument salesmen with a passion for grand, high-end band music. Merrill Jones started small, attending the 1964 Mid-West National Band Clinic with just one piece: Emperata Overture by Claude T. Smith. From those humble beginnings, Wingert-Jones has grown into a nationally known publisher. WorldStrides has been a leader in educational travel for the past 50 years—taking students of all ages around the globe and into some of the most important learning adventures of their lives. Our teachers, professors, parents, and college administrators give us consistently high ratings for our proven safety process and policies. And we back our travelers with the best insurance coverage in the business. The Yamaha Corporation Group has chosen “CREATING ‘KANDO‘ TOGETHER” as its corporate objective and is endeavoring to contribute to the enrichment of people’s lives through its business activities.